No matter what time of the year it is. 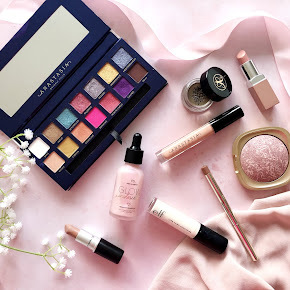 Spring, Summer, Autumn, Winter, I always like the look of beautiful, stunning, glowy skin and I always try to achieve that with the help of a few of my favourite highlighters. Admittedly I wasn't really into highlighters until the MAC Soft and Gentle Mineralize Skinfinish took the blogosphere by storm two years ago and made that purchase. 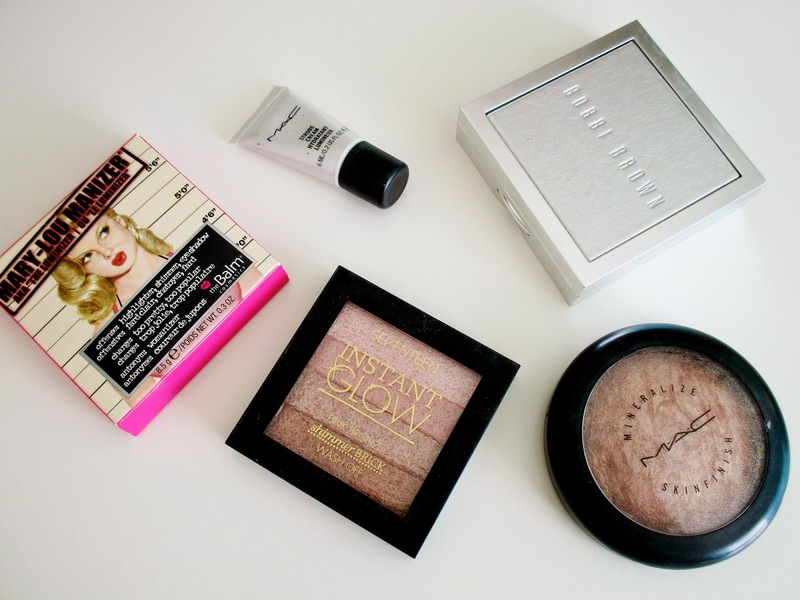 Ever since I have been completely obsessed with finding the perfect highlighters from both high end and the drugstore. I think I have found and bought my fair share of them, and I have since bought two more. Oops I did it again. See what I did there, hey? ha. First up is theBalm Mary Lou Manizer. Such a clever name right? And the quirky packaging is spot on. This gold/honey hued highlighter has yellow undertones which makes it perfect for those with warmer or neutral undertones or tanned skin. 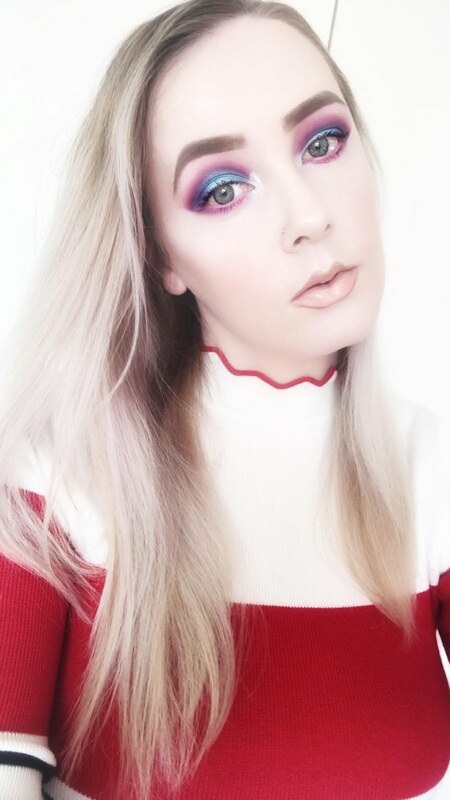 I have neutral undertones and pale/fair skin but I have to be quite careful on how much I apply. You have to be quite light handed with it as it can look a bit overwhelming. I use my trusty Real Techniques Setting Brush to apply my highlighter. It's highly pigmented but with a light hand, it can really look quite beautiful when applied to the high point of my cheek bones. Honestly, it's just beautiful. 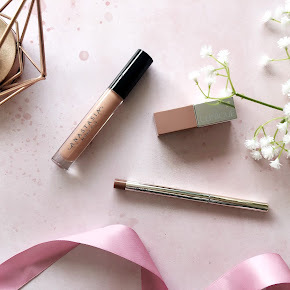 The cheapest but equally wonderful as it's high end twin, the Bobbi Brown Shimmer Brick, the Seventeen Shimmer Brick in 'Pink Bronze' has won my heart. It has a mixture of different shades. From top to bottom; a light iridescent pink, medium pink, light brown and a deeper bronze. 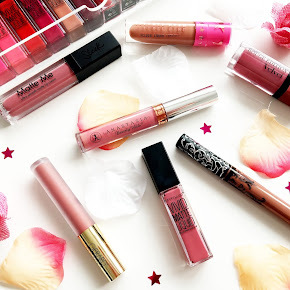 Swirled together, they make for a beautiful pinky-champagne sheen to the high point of my cheeks, down the nose and my cupids bow. It may look a little glittery but again, with a light hand, it just works. Yes, I have a sample version to show you and it's a good'un at that. It's one of the 3 liquid highlighters that I have and quite like. 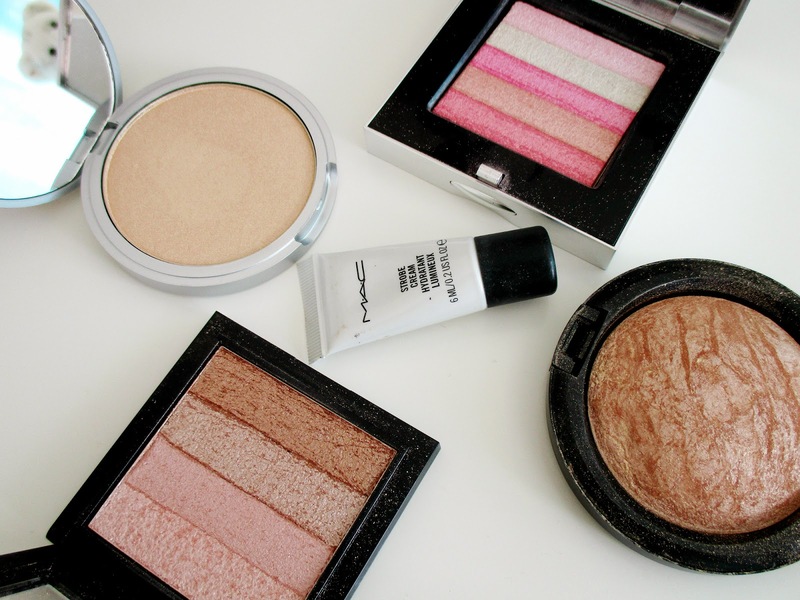 MAC is one of my favourite high end makeup brands and I am quite surprised by the MAC Strobe Cream. I have had it for quite a long period of time and I'm nowhere near finishing it. A small pea sized of this is all that is needed. A little goes a long way. It comes out of the tube as white but once blended into the skin it gives off a beautiful dewy glow that you could just die for. I would say it's quite similar to the Benefit High Beam. My favourite highlighter out of them all is without a doubt, the MAC Skinfinish in Soft and Gentle. Is that surprising? I wouldn't think so. It's been a year since I purchased it and I haven't hit pan. I can see it lasting such a long time. It's a gorgeous champagne shade and I find it compliments my fair skin tone quite well. It's not overwhelmingly glittery which is always a plus. No sign of me looking like I've been transported back to the 90's when glitter was all the rage. Remember the glitter hair spray and glitter pots? If you were born in the 90's you'll understand what I mean. Another high end product is the Bobbi Brown Shimmer Brick. It is one of Bobbi Browns Bestselling products. I have the shade 'Platinum Pink' with the old packaging and sadly isn't available anymore. The Platinum Pink Shimmer Brick consists of a bunch of different shades. From top to bottom is a baby pink, pale white, medium pink, rose gold and rosy pink. They can be used individually but I quite like them all swirled together and applied with my RT setting brush. 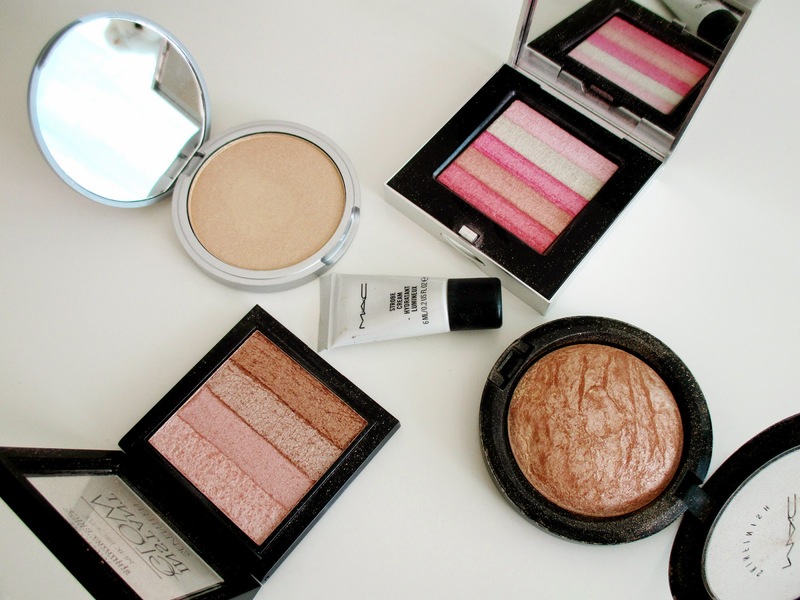 What are your favourite highlighters to achieve glowy skin?